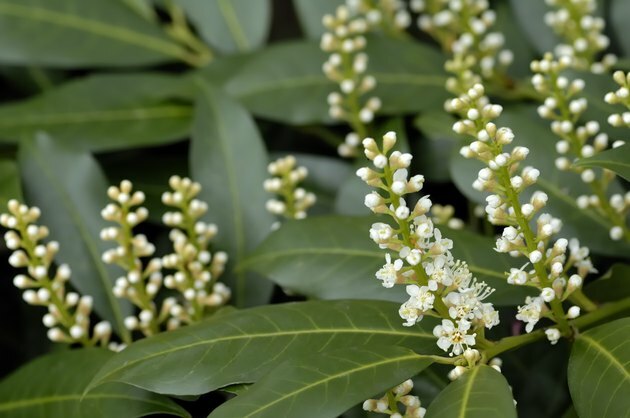 An evergreen shrub, the laurel is a good choice for many different aspects of landscaping such as growing a hedge or creating areas of privacy. Once planted, a laurel shrub needs very little care aside from watering during times of drought and pruning once every one to two years to maintain shape. 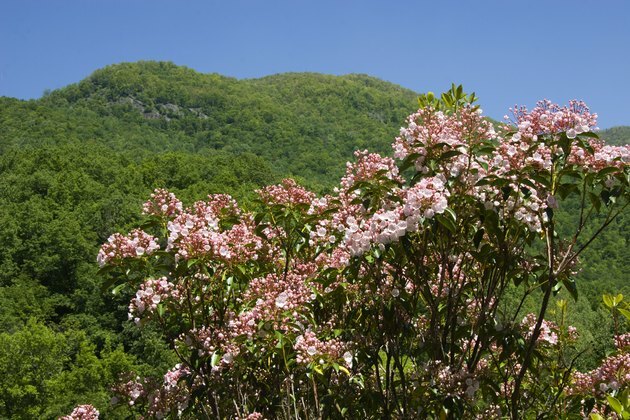 Mountain laurel produces pinkish colored flowers during the spring and has deep-green, glossy leaves. It grows well in the eastern portions of the United States, in U.S. Department of Agriculture hardiness zones 5 through 9. Mountain laurels prefer mostly shady areas to full sun. It is that little bit of sun each day that helps them produce their flowers. When deciding where to plant mountain laurels, take the mature height of 5 to 8 feet into consideration. While it may be tempting to dig up a mountain laurel growing in the wild, leave it there and buy one from a local gardener. You very likely could do so much damage to the roots in digging that the plant would not grow successfully in your yard. English laurel can be seen growing in many English gardens. It grows to about 3 or 4 feet tall. 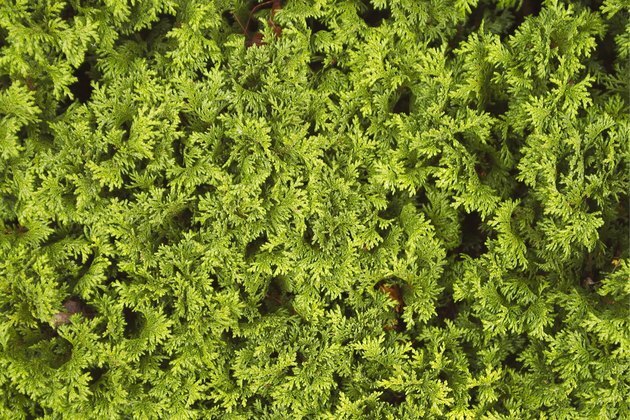 When plants are grown closely together, they form a box-shaped hedge. While English laurel is an evergreen, some slight discoloration, such as brown leaves, will be evident during the winter months. This is a shrub that needs yearly pruning. If left unattended and unpruned, it can grow to heights of around 20 feet. Plant English laurel in full sun. The schipka laurel is very cold hardy for gardeners living in more northern zones. This variety of laurel can grow up to 15 feet tall but does very well when pruned to a shorter height. When planting schipka laurel, space them about 4 to 5 feet apart to allow room for them to grow in width. 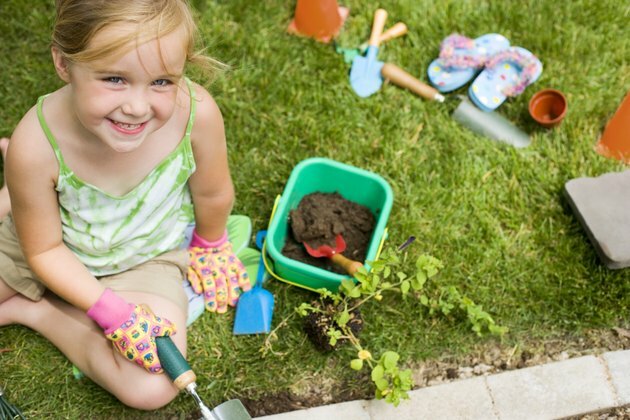 After planting, water thoroughly throughout the first spring and summer to help the roots develop. This adaptable shrub will grow well in the full sun or partial shade.